Pencil pleated curtains have small, repetitive pleats at the top of the curtain panel (resembling a row of pencils, thus the namepencil pleat). The pencil pleated curtain header does not go through a pole, but is hung with drapery hooks that are fastened to curtain rings or track hooks. 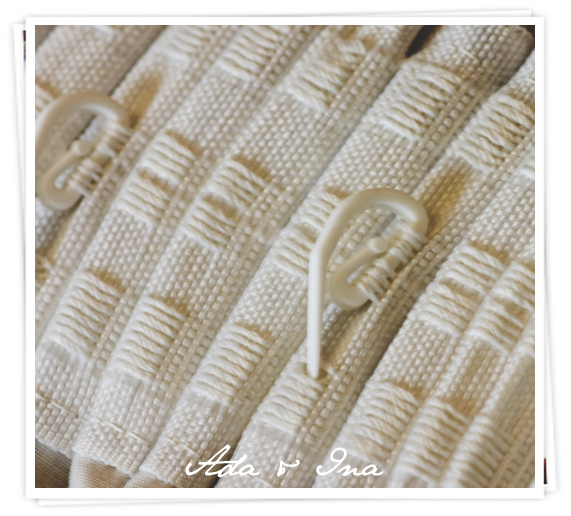 Ada & Ina use 3"/7,5cm pencil pleat tapes. You can order readymade curtains and made to measure curtains with this lovely pencil pleated heading. How do I hang pencil pleat curtains? After unpacking your new curtains, it is up to your personal preference as to whether or not you would like to press or iron them before hanging them. If you prefer to press them, remember to read the instructions and any specifics. On the back side of the curtain you will find three (sometimes two) strings protruding from one side - by pulling these strings simultaneously the curtain becomes pleated. 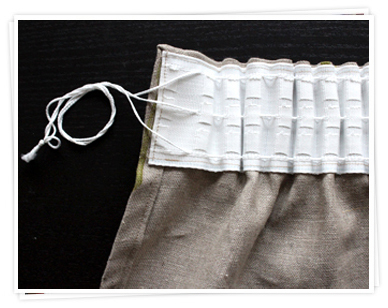 You can adjust the amount of space between each pleat thus creating a pencil pleat finish to your liking. When you have finished pleating your curtain it's useful to tie the pulling strings together to prevent the pleat from slipping. A slipknot is easy to undo if you want to adjust the curtains. The heading has three rows of fabric or string which is where you place your hooks. You can adjust the curtain length and the heading style depending on which row you insert the hooks: a casual bunched fabric at the top can be styled by placing the hooks into the lowest row - or when placing the hooks in the top row the curtain pole will be visible above the heading. 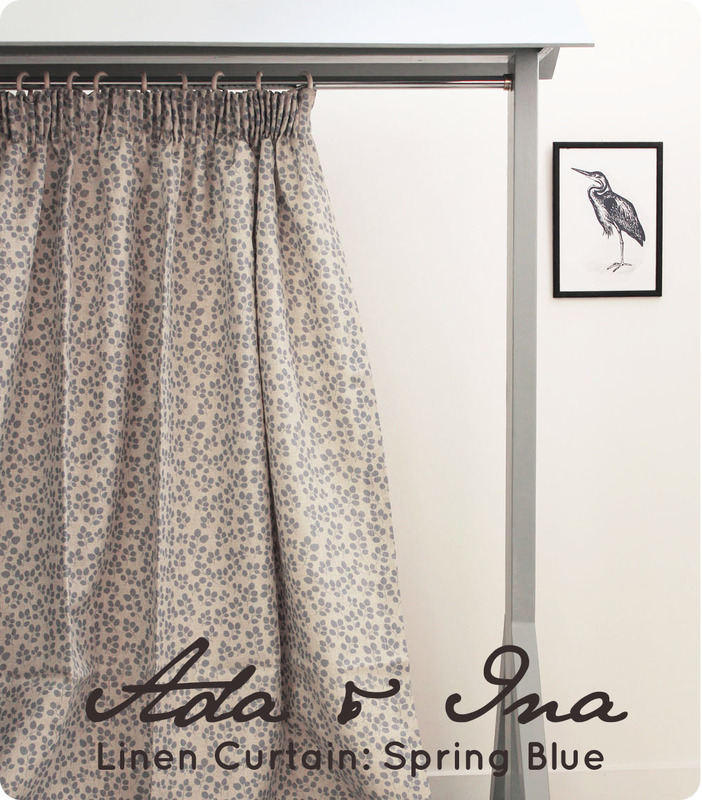 Ada & Ina's pencil pleat curtains are calculated using twice the fullness - this means that the amount of fabric is twice the length of the curtain pole. This helps the pleats keep their form over time. To avoid the curtains losing their pleat over time tie the curtains tightly back the first time you hang them and keep them there overnight. This prevents the pleats from losing shape.